Apple is developing an "AirPower" wireless charging mat that's designed to charge an iPhone 8/8/Plus, an Apple Watch, and AirPods at the same time, and there's been some confusion about whether it will work with existing Apple Watch models or only the new Series 3 devices. While some sites have suggested AirPower will work with all Apple Watch models, Apple's own documentation tells a different story. The Apple Watch comparison page lists "Supports AirPower mat" as a feature for the LTE and non-LTE Series 3 Apple Watches, but support is not included for the Series 1 device. Because all Apple Watch models already feature inductive charging, it's logical to guess that they might all work with the AirPower, but it seems special hardware will be required, and that hardware is only available in new models. Apple Watch Series 1 and Series 2 owners will need to continue using their existing chargers once the AirPower launches. 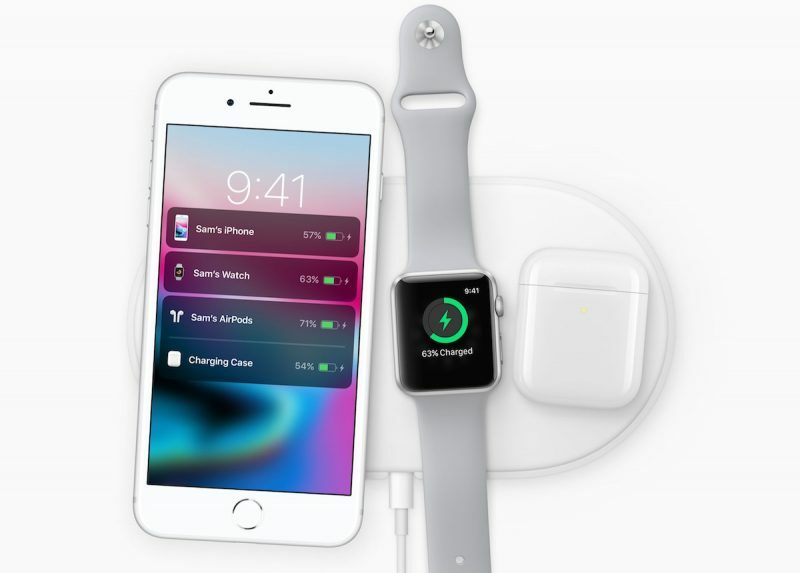 A simple oval-shaped white charging mat, Apple is building new networking technology into the AirPower to allow it to charge multiple devices at once. Along with an iPhone 8, iPhone 8 Plus, or iPhone X and the Apple Watch Series 3, the AirPower can charge AirPods in a new wireless charging AirPods case that's set to be released sometime in the future. Because AirPower uses a new charging standard for supporting multiple devices, it won't be available for purchase until 2018. Pricing is not yet available. With the iPhone 8, 8 Plus, and X, Apple has embraced the Qi wireless charging standard. Apple's newest iPhones will charge with any Qi-certified device, and after Apple releases the AirPower, the company plans to share the technology with the Qi community so other companies can make multi-device charging accessories. $129 in US, £159 in UK. Based on current trends for Apple Prices. Yep. Total = £888.17 != £999! Cheers Apple for the £111 Apple Tax! Not a shocker that it wouldn't be compatible with the first generation Apple Watch or Series 1/Series 2. Apple wants those to upgrade to the Series 3 Apple Watch and the Airpower charging mat is one of those reasons. In all seriousness, $129 would be a purely insane price for a wireless charger. Samsung is selling these for $20. Personally, I hope this new standard has some sort of special capabilities over Qi. For example, quick charging or extended range. Otherwise, there really isn't that big of a benefit for apple to push it's own standard over Qi. I guess we'll find out more when it comes out. Charging my watch, phone, and AirPods all at the same time simply by placing them on a mat. And millions of their customers I imagine feel the same way I do. Very happy apple in investing in this. It will be interesting to see if it works with any of the the metal loop style bands. They just might if the mat is near-field wireless charging. There's reason to believe that this is the case, and that it's very short range near-field, such that it will work with a metal loop band when placed on its side. We knew that was going to happen. Apple doesn't go backwards, and lose revenue??? Moving forward to get your hard earned dollars is the Apple way. I'm not suprise about it, but no thanks. I'm fine how they want to do their business, but i got my ss series 2 this year. Edit: afforable issue is no problem, but i'm about being rational and pro-consumerism. That, and because they used a proprietary wireless charging solution for the series 0, 1, and 2 Apple Watches. I am guessing that the series 3 Apple Watch supports Qi wireless charging. Does anyone know if the series 3 will support any Qi wireless charger like the new iPhones or is it limited to just the AirPower mat?